Destined to be the thriller everyone is talking about this summer, Clare Mackintosh’s gripping I Let You Go debuts in the US this month. You don’t want to miss this incredible thriller with a twist so jaw-on-the-floor shocking that you will find yourself flipping the pages backward in awe, wondering how you missed it. I Let You Go is a taut psychological thriller about the hit and run death of a five-year-old boy, a mother’s bottomless grief, and the dogged efforts of a police detective whose investigation reveals far more than he ever expected. Debut novelist Mackintosh spent twelve years working on criminal investigations in the Thames Valley Police Department, and her personal experience as a detective informs the novel, which is inspired by an actual unsolved case. Mackintosh’s debut is riveting. 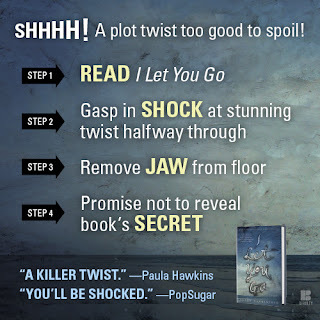 The fully-realized characters, breathless pacing, a hauntingly realistic crime, the author’s powerful storytelling, and mounting suspense and uncertainty about who to trust, all make I Let You Go an unforgettable debut that readers everywhere will be talking about. I Let You Go is one of the best books I've read this year! It is gripping and you won't be able to put it down. And the plot twist? Let's just say I was stunned. I really was flipping back through the beginning of the book to try to understand it all and how I missed it. So, so great! 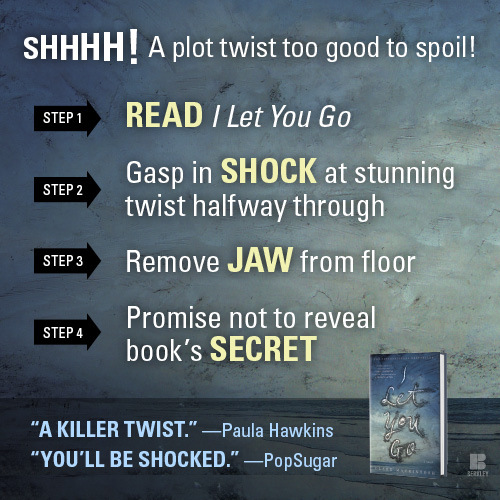 If you like psychological thrillers that keep you on the edge of your seat, you are sure to love I Let You Go! Encourage Imaginative Play With Discovery Boxes! Paper Pumpkin Craft Kit- April Edition! Summer Wardrobe Favorites from Chadwicks! GOLDTOE Socks for Mother's Day!